Print by clicking the “Download Here” link above, then check off what you’d like! 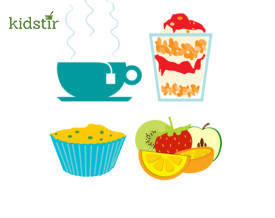 Look for the Strawberry Sundae, Sunny Scone, Egg-cellent Cupcake, and Fried Egg recipes in the Kidstir Breakfast Kit! If you want a special treat for mom on her special day, here’s Mother’s Day menu. If mom checks off “Pancakes” be sure to look at our “Customized Pancake Recipe” to make an extra special day. If mom wants eggs from the list, check out our 5 Ways to Cook Eggs infographic. If you want to make an extra special egg, take a look at the “Egg in a heart” with toast recipe.